THUNDER BAY, Ont. 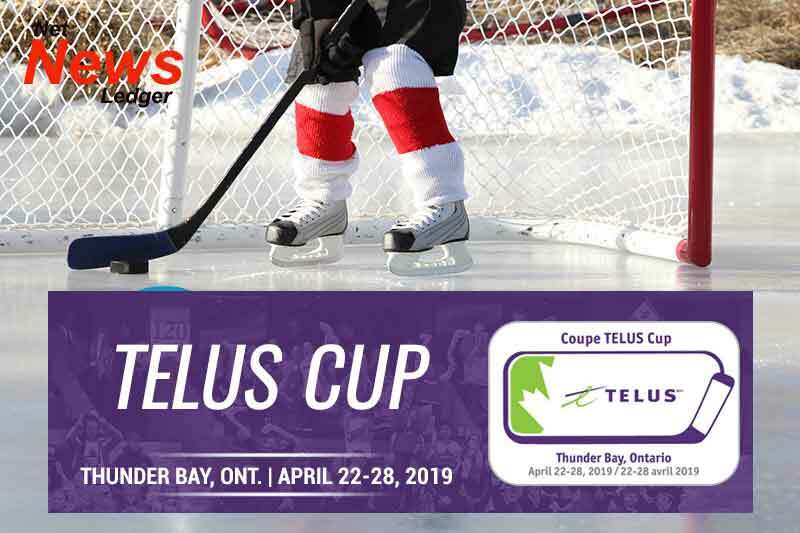 – The Thunder Bay Kings, in conjunction with Hockey Canada, Hockey Northwestern Ontario and the Thunder Bay Minor Hockey Association, will host the TELUS Cup Canadian National Midget Hockey Championship, April 22-28, at the Fort William Gardens. Joining the hosts in the Lakehead at the seven-day event will be the regional midget title winners from across the country in the Tisdale Trojans (West); Calgary Buffaloes (Pacific); Toronto Young Nationals (Central); Magog Cantonniers (Quebec) and Halifax McDonald’s (Atlantic). TELUS Cup ticket packages remain on sale at HockeyCanada.ca/tickets. 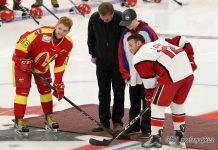 The 2019 TELUS Cup will mark the Kings fifth appearance at the nationals with the organization claiming medals in each of their first four visits to the Canadian midget championship. 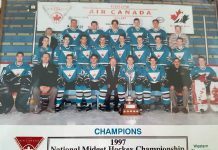 Their initial trip, to the then Air Canada Cup, came back in April of 1992 when they won the silver medal in Dartmouth, N.S. Under head coach David Bragnalo and assistant Kelly Sundell, Thunder Bay punched their first ticket to the nationals after capturing the West Regional on home ice as they dropped the Winnipeg Hawks in the final, which was also held at the Fort William Gardens. That regional contest between the Kings and Hawks was a hotly contested affair that needed overtime to determine a winner. In the extra session, it was diminutive forward David Hoogsteen that sped down the left wing and blasted the game-winner through the pads of the Winnipeg goaltender to give his side their first West Regional crown. Moving on to the ACC in Nova Scotia and backed by solid goaltending of Shawn Silver and Matt Simeoni, Thunder Bay finished the six-team round robin with a 3-2 record, picking up victories against the Miramichi Rivermen, Kamloops Lions and Mississauga Blackhawks. That tied them for second overall in the standings and earned them a semifinal match-up with the host Dartmouth Kings, who took the first meeting earlier in the week by a 3-0 count. Again overtime was needed in that contest with Hoogsteen proving to be the hero once more as he went through a Dartmouth defender at the blueline, went in alone, then proceeded to bury the winner and give his side a dramatic 2-1 triumph. Earning a berth in the final vs. Lac St. Louis from Quebec, the Lions proved to be too much as they claimed their third national title with the Kings mining silver in their initial appearance at the nationals. Also of note, Thunder Bay blueliner David Mayes was a stalwart on the back end and would go on to be named the Top Defenceman Award recipient at the event. Toronto Young Nationals vs. Halifax McDonald’s 12 p.m.
Magog Cantonniers vs. Tisdale Trojans 4 p.m.
Thunder Bay Kings vs. Calgary Buffaloes 7:30 p.m.
Magog Cantonniers vs. Halifax McDonald’s 12 p.m.
Toronto Young Nationals vs. Calgary Buffaloes 4 p.m.
Tisdale Trojans vs. Thunder Bay Kings 7:30 p.m.
Calgary Buffaloes vs. Magog Cantonniers 12 p.m.
Halifax McDonald’s vs. Tisdale Trojans 4 p.m.
Thunder Bay Kings vs. Toronto Young Nationals 7:30 p.m.
Tisdale Trojans vs. Calgary Buffaloes 12 p.m.
Toronto Young Nationals vs. Magog Cantonniers 4 p.m.
Halifax McDonald’s vs. Thunder Bay Kings 7:30 p.m.
Toronto Young Nationals vs. Tisdale Trojans 11 a.m.
Halifax McDonald’s vs. Calgary Buffaloes 3 p.m.
Thunder Bay Kings vs. Magog Cantonniers 6:30 p.m.
Semifinal No. 1: 2 p.m.
Semifinal No. 2: 6 p.m. Bronze medal game: 1 p.m.
Gold/Silver medal game: 6:30 p.m.